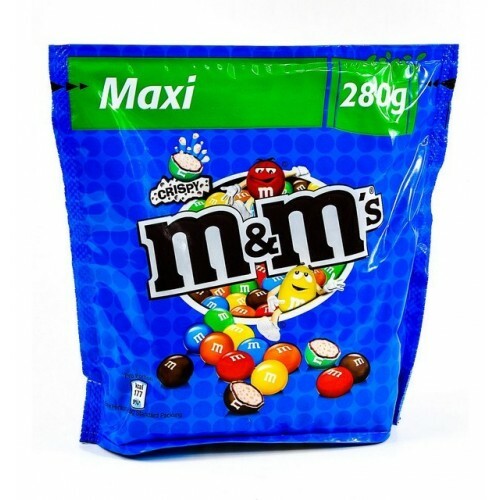 M&M's Maxi Crispy Pouch 280g. Crispy balls with a sugar colorful coating. Sugar, cocoa, rice flour 11%, skimmed milk powder, hydrogenated vegetable fat, lactose and milk proteins, cocoa butter, concentrated butter, vegetable fat, emulsifier (soy lecithin), salt, barley malt extract, colors (curcumin, cochineal, Brilliant Blue FCF, beta-apo-8-carotenal, titanium dioxide), glucose syrup, starch, dextrin, dextrose, glazing agents (carnauba wax), flavors, vegetable oil. M&M’s Mix Pouch 400g. 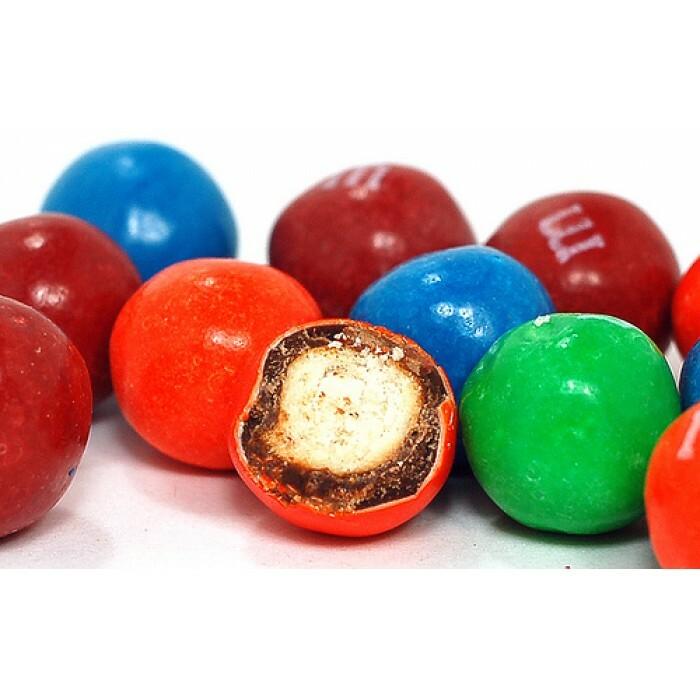 - assortment of Mars famous colorful balls - peanut, choco and crispy ..
M&M's Pretzel 32.3g - crunchy, salty-sweet M&M famous chocolate balls with a sugar colorf..